Top Gear fans are in for a treat this week - Chris Harris will be taming the Alfa Romeo Giulia Quadrifoglio. US viewers had to patiently wait an extra week for the new series of Top Gear to air on BBC America – but it was well worth it. This was the triumphant return to form we had been waiting for. With the trio of Matt LeBlanc, Chris Harris and Rory Reid at the helm, the show is finally back on track. Without Chris Evans dictating the show’s creative control, the three presenters have been given a chance to shine, and it showed in the main challenge. The three presenters already have a very natural chemistry, which bodes well for future episodes. The new series has taken a back to basics approach, making the car the star – just as it should be in a car show. Episode one treated us to the terrifying track-only Ferrari FXX K, a car that only Chris Harris would be brave enough to attempt to drift in. This week’s episode looks just as promising for gearheads, as we’ll get to see Harris tame the wonderful Alfa Romeo Giulia Quadrifoglio around the track, and no doubt torture its tires in the process. It will also face off against its arch nemesis, the BMW M3. If you’ve ever watched his online series Chris Harris On Cars, you’ll know why we’re excited for this road test. We’ve already seen that he has impeccable skill behind the wheel. To put that to the test he will apparently be challenged to “drift it through a really small hole in a really big wall." 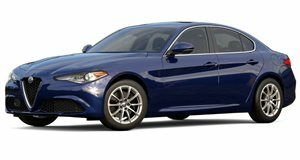 Please don’t let the Giulia come to any harm, Harris. Elsewhere, Matt LeBlanc and Chris Harris embark on a road trip through California and Nevada in a Porsche 911 Turbo S Cabriolet and Lamborghini Huracan Spyder to “prove that today’s supercars can withstand more than just a light smattering of rain.” We like the idea of seeing supercars being driven in conditions they were never designed for, which should make for an entertaining challenge. Hopefully episode two can live up to the standard set in the season premiere.